8 Content Tracks, with 3 NEW Theatres for 2018! Big Data LDN is pleased to announce the 8 content theatres that will host cutting-edge presentations, real-world use-cases and inspiring demos from 130+ speakers at Big Data LDN 2018 on 13-14 November. 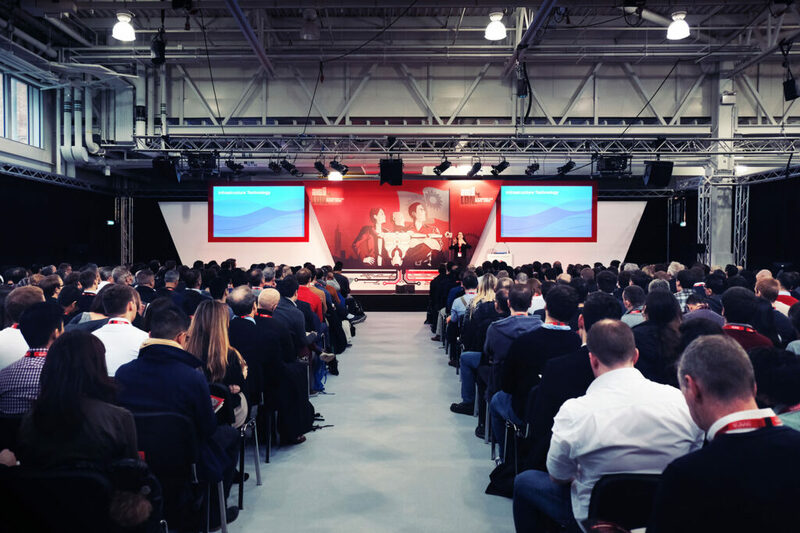 Learn from global data experts in the Keynote Theatre, Fast Data Theatre, Self-Service Analytics Theatre, AI Lab Theatre, DataOps Theatre, Customer Experience Theatre and the Data Governance Theatre only at Big Data LDN 2018, the UK's largest data & analytics conference and exhibition. Hear from rock star technology gurus and world-leading data experts in the Big Data LDN 2018 Keynote Theatre. Jay Kreps, ex-Lead Architect for Data Infrastructure at LinkedIn, Co-creator of Apache Kafka and Co-founder & CEO of Confluent opens the day 1 keynote programme. Michael Stonebraker, the Turing Prize winner, IEEE John von Neumann Medal Holder, Co-founder of Tamr and Professor at MIT opens the keynote on day 2. The advent of modern streaming data platforms is transforming business processes, with real-time data analytics at the forefront. Traditional “batch” processing is being replaced by streaming systems, promising instant data analysis and rapid insight-to-action. The Fast Data Theatre investigates the increasing velocity of big data and explores how building machine learning into closed-loop systems will deliver on the promise of digital transformation. This theatre’s sessions will show how modern organisations can put data and analytic insights into the hands of business users, democratising business intelligence and driving adoption across the entire enterprise. Learn how business users can access and work with corporate data, even without a background in statistical analysis, business intelligence (BI) or data science. The AI Revolution is here! The world is being disrupted by AI pioneers using machine learning and deep learning to find meaning and insights in oceans of data. No one wants to miss out on the AI gold rush, but where do you start? This track separates hype from reality, with real-world examples and advice from experts at the forefront of harnessing the power of predictive analytics, machine learning and deep learning algorithms. The strategic conference track at Big Data LDN, focused on how to build a successful data-driven enterprise. Digital Transformation requires business leaders to drive data strategy, data ownership, digital skills, privacy, data governance and technology architectures. This theatre highlights the importance of the developing Chief Data Officer role in delivering this transformation and advocates a high standard of data literacy in business, in government and in our daily lives. DataOps Theatre - NEW FOR 2018! DataOps is the engine room powering data-driven organisations, providing an essential hub for data engineering and data science skills, technology and resources. If data is the new oil then DataOps extracts and refines the raw material, delivering usable data streams to fuel business functions across the organisation. This theatre examines the tools and techniques required to collect, distribute and control access to data at scale, focusing on modern data management, integration and analytics use-cases. Customer Experience Theatre - NEW FOR 2018! In the UK, it’s no surprise that Customer Experience use-cases are the biggest drivers for investment in modernising data systems. But which approaches get the best results? With huge amounts of data being created on a daily basis, are businesses really making the best use of what they have? Discover how insights obtained from big data can power customer engagement and improve experience and interactions with brands in the Customer Experience Theatre at Big Data LDN 2018. Data Governance Theatre - NEW FOR 2018! Data Governance is back in a big way. Headlines about privacy breaches and GDPR have brought corporate responsibility for data into sharp focus, threatening severe consequences for failure. At the same time, this invaluable business resource is everywhere – in multiple cloud and on-premise systems, copied on myriad devices and virtually impossible to lock down. Data quality and security issues are undermining the gains promised by the data revolution. What is to be done? This theatre provides answers and advice from a wide range of experts.